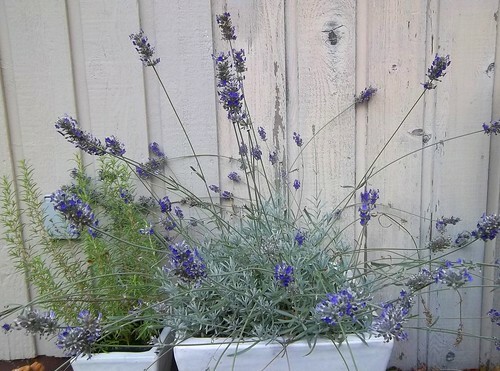 This lavender plant was bought at the Cascade Cuts plant sale last spring, because it was named Jennifer. My daughter name. We lost her three and a half years ago. It was so lovely with pale leaves, that I had to have it. The blooms, when they arrived, were more blue than lavender on long sweeping stems. We planted it in a pot on the deck and it's been blooming for months, and continues. I have not been able to get a good picture of this plant, so this inferior photo will have to do. Submitting to Haiku My Heart Friday. I started doing Hump Day Haiku with Carla Sonheim's Silly classes... and decided as a challenge for myself, I'd continue. And so I have. Beautiful Lavender in memory of your Sweet Girl. Thanks for sharing! this is lovely, a living memory of love. perhaps you would enjoy the company at haiku my heart. we gather every friday and it is a warm caring reception for all those who join in. just follow my link back to recuerda mi corazon. seeing your beautiful lavender you might want to pop in on sundays where i am hosting the art of remembering every sunday in october. it is powerful in all the ways you would hope for. thanks for your mother's heart and your haiku. Lovely Lavendar and its scent so unforgettable. With love to you. What a lovely way to remember your daughter. Beautiful.